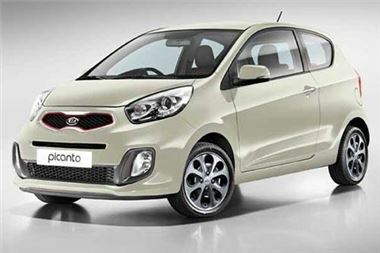 KIA is offering its high-spec Picanto Halo model at a customer saving of £1,700. But, to qualify, the car has to be registered between 21 August and 30 September 2012. The saving offered on the KIA Picanto Halo was normally £700. But until 30th September, KIA is increasing that saving to £1,700. This means you can buy the1.25 84bhp 5-speed Picanto Halo manual from just £9,995 (insurance group 10) and the 1.25 84bhp 4-speed automatic from £10,595 (insurance group 6). The high level of equipment included heated front seats and steering wheel (unique to this size of car). Other features include air conditioning, 14" black alloy wheels, and Bluetooth with voice recognition. For more information on the Picanto Halo offer and the entire Kia range please visit www.kia.co.uk or contact the Press Office.